InVivo Therapeutics has recruited seventeenth patient in the study of its neuro-spinal scaffold. The new patient was enrolled at the Thomas Jefferson University Hospital in Philadelphia, Pennsylvania. 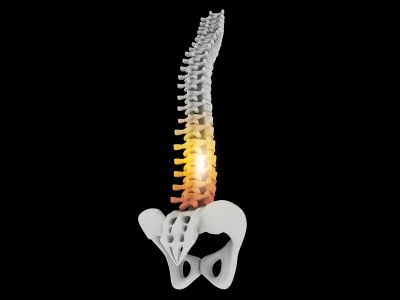 The Neuro-Spinal Scaffold, which is an investigational device that secured a humanitarian use device (HUD) designation, is being assessed in the INSPIRE study to treat patients with acute, complete (AIS A), thoracic traumatic spinal cord injury. In addition, the pilot study is being carries out to evaluate the device in the treatment of acute and complete (AIS A), cervical (C5-T1) traumatic spinal cord injury. The implantation of the biodegradable Neuro-Spinal Scaffold within the decompressed and debrided injury epicenter will help in appositional healing following acute spinal cord injury. It will enable to reduce post-traumatic cavity formation, sparing white matter, in addition to allowing neural repair within and around the healed wound epicenter. Image: The Neuro-Spinal Scaffold is being evaluated in the INSPIRE study to treat patients with acute and complete, thoracic traumatic spinal cord injury. Photo: courtesy of cooldesign / FreeDigitalPhotos.net.